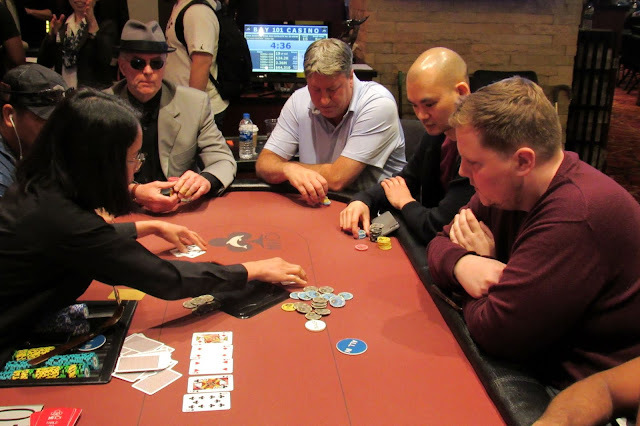 Craig Buchmiller is all in preflop for 4,200 from the button, and the hijack has him covered. Here is a look at their cards. Buchmiller doubles up to survive with 8,900 after collecting the pot.